Arthur Blessitt in Colchester, originally uploaded by timabbott. 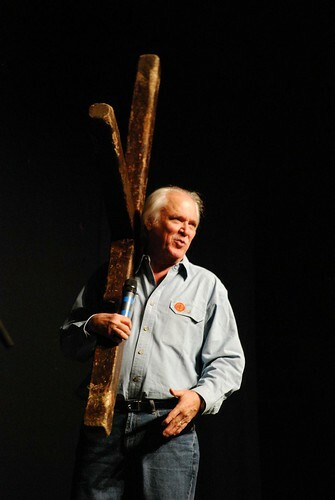 Since 1969 Arthur Blessitt has carried a 12′ cross into every nation on earth. As you can imagine, he’s got some remarkable stories to tell. He was in Colchester over the weekend courtesy of Kingsland Church and spoke at the Charter Hall twice on Sunday. An amazing man, bold for Christ and gentle with people. Stories that speak of the activity of God more than the achievements of the man. He’s not showing any signs of slowing down!